I’m just curious… it doesn’t seem to add to the piece… or maybe it does. It is an epic design, I really dig the meaning behind it. I added the runes to capture the look and feel of a rune stone. I didn’t want there to be so much writing that it stole focus from the rest of the piece, so I simply spelled out my full name (ARIC JORN LILJEGREN). This serves the dual purpose of identifying myself as the artist. Thanks for the comment – I’m glad you like the piece! It’s funny how the mind sees what it wants at times, I can’t believe I misread that. It’s a little embarrassing – I know the elder futhark script like the back of my hand! The inscription does indeed add to the piece. Thank you for replying and clearing that up for me. And again; it is a stunning work of art. My grandmothers maiden name was liljegren, from Sweden. Thanks for sharing. In my case, it was my great-grandfather who brought the name Liljegren to the states in the early 1900s. They were also from Sweden. You are most welcome. Be sure to check back at year’s end when I will be announcing my next piece. 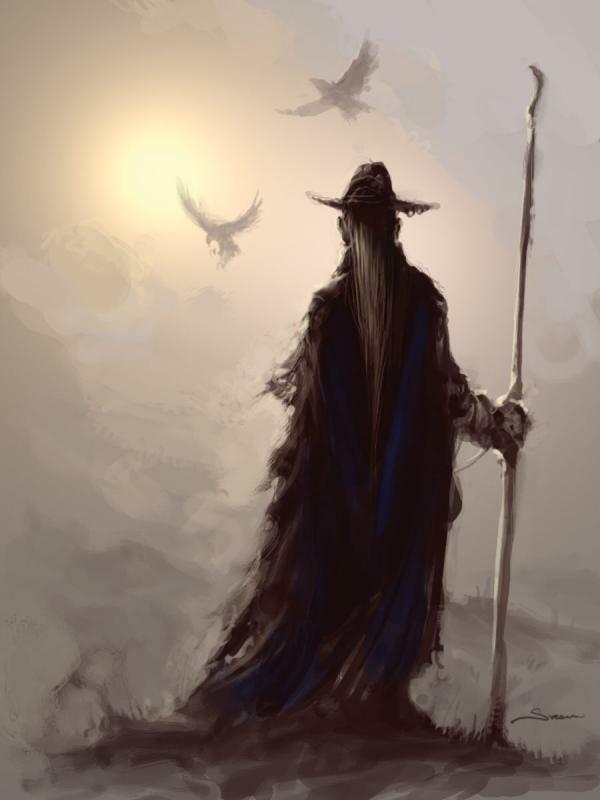 I can’t say what it is yet but, as you like the Hugin and Munin, you should be pleased. Yes, I ship all over the world. Etsy does not yet have a reliable shipping calculator for international orders, so I have to quote shipping for each customer. You can email me through this site or convo me through Etsy with your selections and I will send you a quote that includes international shipping options. Just wondering if there is a historical reference piece for these Ravens or if this is your own design? Thanks for the question, Dan. Some of my pieces are based on historic artifacts – my Mjolnir, for instance, is taken from the famous “raven head hammer” found in Skane, Sweden, and my Prow is based directly on the Oseberg ship. 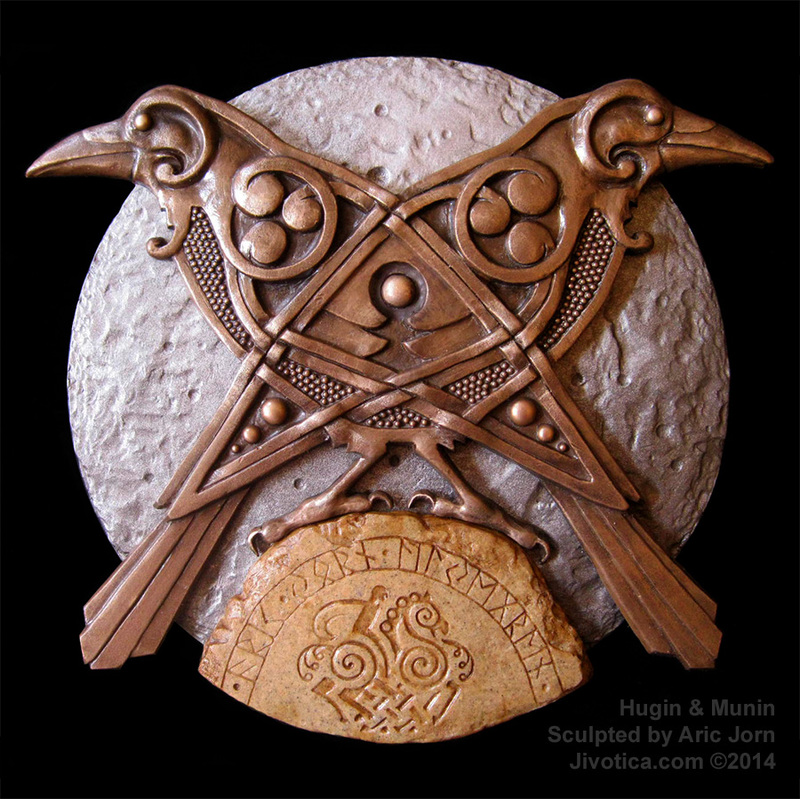 However, an ever-increasing proportion of my work is original and this includes “Odin’s Ravens: Hugin and Munin.” I have incorporated patterns and motifs that echo the culture, but the design is my own. As an artist seeking to discover my own Scandinavian heritage, I don’t want to rely solely on replicating the work of my ancestors (there are enough artists out there doing that already), rather I try to channel and interpret the stories through my own aesthetic. I do this both to honor the traditions of my forebears and to celebrate my own voice as an artist in the process.